Brexit, the election of Donald Trump, and the rise of populism have left the world's "liberal elites" reeling. 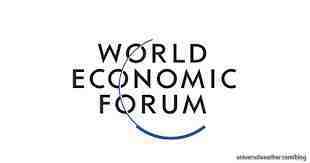 Can Davos, their ideological habitat, survive? It's all too easy to take a swipe at "Davos" - the annual Alpine pilgrimage of the so-called global elite, during which they underline the urgency of tackling climate change to the hum of private jet traffic, pledge to alleviate food poverty while snacking on caviar canapes, and commit to reducing inequality while being waited on hand-and-foot by an army of service staff at exclusive dinner parties. But beyond the often jarring contrasts, the World Economic Forum (or ze WEF, as locals call it), has always been able to point to its role in oiling the wheels of a socially progressive, pro-globalisation alliance - safe in the knowledge that, to a greater or lesser extent, it was in harmony with the tide of history. Then came 2016. At the beginning of the year, when Donald Trump was still one of many potential US presidential candidates, and a date for Britain's referendum on EU membership had yet to be set, Davos regulars were remarkably sanguine. The WEF's annual Global Risks Report, in which it tries to predict future crises, made little mention of anti-establishment forces and WPP's Sir Martin Sorrell reassured delegates that Hillary Clinton would emerge victorious, regardless of whom she ran against. European leaders seemed confident that their institutions would survive the challenges posed by an influx of refugees, murderous attacks on capital cities and rising nationalist sentiment. Soundbites dismissing populist movements were easy to come by. Fast forward 12 months, and the WEF crowd is comparatively muted. With the notable exception of billionaire George Soros, few are going out of their way to condemn the incoming US president, even as his daily pronouncements signal that the world's most important economy is moving further and further away from the Davos model. Perhaps no image sums up the new world order as well as that of a seemingly despondent Klaus Schwab, the respected German academic who is the driving force behind WEF, being ushered through the lobby of Trump Tower last month. But Mr Schwab's visit is also indicative of the WEF's strength, in particular its ability to spread the Davos gospel by running a very broad church, both politically and geographically. Indeed, the likes of Donald Trump have long been invited to the meeting (though he has yet to attend), and when controversial figures, such as Israeli prime minister Benjamin Netanyahu, descend on the Swiss resort, they are hardly put in the stocks. What's more, as organisers are keen to point out, Davos has always been about more than just the US and Europe, and Indian, Chinese and African attendees have been put centre stage for years. Much is being made of the fact that Xi Jinping is to become the first Chinese president to attend WEF when he opens the forum this week, and that Davos is welcoming a bigger trade delegation from the country than ever before - a signal, perhaps, that a more inward-looking US leaves a void for other global powers to fill. But a Chinese delegation was first invited to the annual meeting in 1979, and although he has stayed away in recent years, Russian President Vladimir Putin has drawn crowds on the mountain more than once. And as the geopolitical map changes, the WEF's softly-softly approach - in which very little is mandated and everything is up for polite discussion - may yet lead the Davos tribe out of ideological isolation, even if it doesn't manage to keep their annual champagne consumption out of the headlines.